While people are using their smartphones for many different things, they are still being used for doing business when there is ad that attracts them. When people are searching through desktop they are not not really in purchase mode but after moving to mobile, they are. Consumers of smartphones are using them increasingly to connect with businesses directly. Researches have shown that click to call commerce contributed profit of one trillion in purchases made by consumers last year. Whats even more, studies have shown that people who are clicking to call straight from mobile phones ads are about 4 times more likely to make purchase of a service or product. Number of people having smartphones is growing and they are causing big upwards in trends. Advertisers noticed this so they want to use it. It’s predicted that by the year 2019, mobile phone calls to businesses will reach around 162 billion dollars. Marketers are trying harder to understand how they can better reach mobile consumers, as it shows that people like to make direct contact with business over the phone, and follow up to the completion of purchase. People trust e-commerce much more when there’s known telephone number. If number is unlisted, consumers could reject it as it would seem unreliable and discourage them to purchase product. In more then thousand different industries from travel, auto repairing, home improvement or legal services, 5% to 25% of phone calls from mobile phone ads are being transformed into sales, reservations or appointments. Anyway, not all businesses are fully using the opportunity of click to call commerce. Around 20% of calls are being abandoned because of the customer service that’s poor and also because of the way sales are being practiced. For instance, people who want to shop had to wait almost 10 minutes or experience errors with telephone automated systems. There are ways to improve phone customer service. You can use some of the ideas to help your team. It is very known that, after about one minute of waiting on hold, half of potential customers will leave the phone call. If this happens, offer them the option of having them called back. Have some kind of personal touch. People are expecting experience of shopping to be more personalized. If it’s possible for you, assigning representative to handle all the individual needs of buyers would be good idea. It should come as a no surprise that most of the callers are of younger age from 21 to 34. It makes sense since younger people are the ones who are glued with smartphones to their hands all the time. 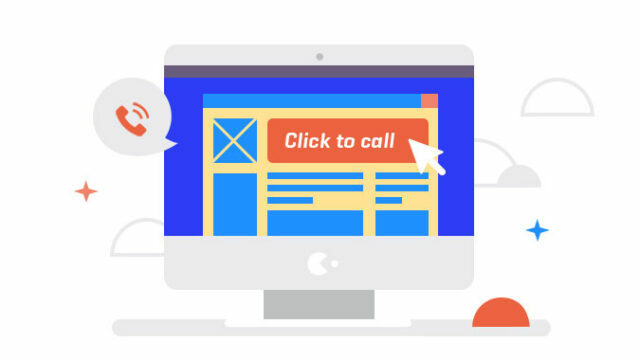 Calls are much more valuable than just clicks. This is because when you call someone, you are connected with merchant directly. There are no separations of content and internet and potential customer is on the line right there asking various questions. It’s up to you to take them trough the path and finish on final destination that means closing the deal. If you didn’t know, Facebook has introduced their functionality click to call and Google as well with the launching of ” Call-Only” ads for mobile phones last year. $4 billion dollars are spent annually by advertisers on paid searches for click to call and investing in campaigns. I am opinion, spending on this will rise even more as mobile advertising becomes more mature.